Tequila Viuda de Romero, S.A. de C.V.
Real Hacienda Anejo Tequila. 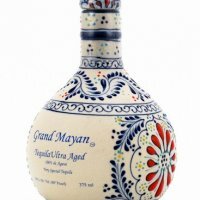 Many generations are behind the traditional techniques used in the elaboration of this fine tequila that, with dedication, is extracted from the warm soils of Jalisco, from the best regions of Blue Agave. I dig this one out for those special occasions, like a birthday present to myself. So I did a blind taste test between Real Hacienda, Don julio anjeo, Don Julio 1942 and Don Julio Real> Need I say that anything could be better than DJ Real? 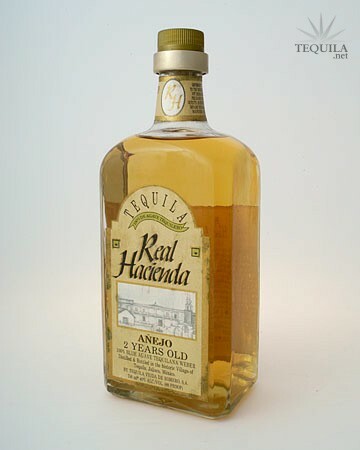 But there is no doubt in this tequila addicted brain that I Like Real Hacienda better than 1942. I could get two bottles of this for one 1942. I just hope I can find some. Nose-essence of "Dreamcicle" ice cream. No fumes. Initial taste was slight citrus with a slight tang. The body was light without being thin, very refined No woody-ness at all. the finish was long, crisp, clean and fading off with a slight sweetness. Really a great anejo. Presentation was mediocre and cheep looking, Twist top with plastic pourer. Loosing important points.